Duxbury High School Football Visits BGCD: Members of the Duxbury High School Football Team made their annual trek to Boys & Girls Clubs of Dorchester to host an afternoon of fun and games for our members last week. A group of our members returned the favor by attending the football team’s most recent game last Friday night in Duxbury. The Duxbury football team hosted and successfully defeated Silver Lake as our Club members supported and cheered them on! The Duxbury program has supported BGCD over the past five years with clinics as well as coat drives, gifts for the holidays and more. Thanks to all of the team members for spending the afternoon with us and good luck to them as they finish off the rest of their season! 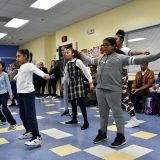 Boston Globe Community Care Day: Volunteer employees from The Boston Globe visited Boys & Girls Clubs of Dorchester last Thursday for their Annual Community Care Day event. Volunteers spent the day painting the gymnasium space for Club members to enjoy. 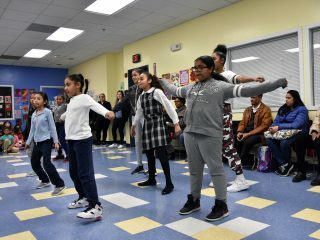 The Boston Globe has been visiting BGCD every fall for the past twenty seven years to help out with facility improvements. Our thanks to all of the volunteers who took part and to the Boston Globe for their support of our members. Our Club hosts a variety of Corporate Community Care days throughout the year. 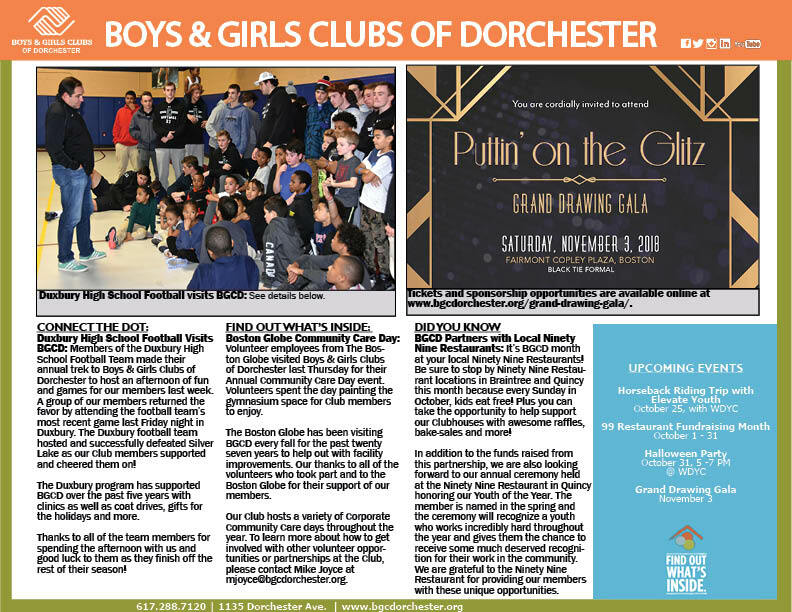 To learn more about how to get involved with other volunteer opportunities or partnerships at the Club, please contact Mike Joyce at mjoyce@bgcdorchester.org. BGCD Partners with Local Ninety Nine Restaurants: It’s BGCD month at your local Ninety Nine Restaurants! Be sure to stop by Ninety Nine Restaurant locations in Braintree and Quincy this month because every Sunday in October, kids eat free! Plus you can take the opportunity to help support our Clubhouses with awesome raffles, bake-sales and more! In addition to the funds raised from this partnership, we are also looking forward to our annual ceremony held at the Ninety Nine Restaurant in Quincy honoring our Youth of the Year. The member is named in the spring and the ceremony will recognize a youth who works incredibly hard throughout the year and gives them the chance to receive some much deserved recognition for their work in the community. We are grateful to the Ninety Nine Restaurant for providing our members with these unique opportunities. 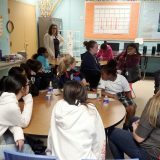 BGCD and Elevate Youth Host Monthly Outdoor Adventures: Following on the heels of two Hiking/ Climbing trips in September, BGCD and Elevate Youth are using the month of October to expose members to Horseback Riding. The first of two trips took part this past Tuesday at the Blazing Saddles program in Randolph. Members learned how to care for and feed the horses, and then set out on rides. 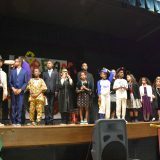 A fantastic time was had by all! Later this month members from our Denney Center Clubhouse will set out on their trip. Thanks to Elevate Youth for their efforts to engage our members in these exciting outdoor adventures! 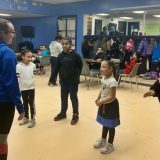 To learn more about this program or other opportunities at the Club, please contact Mike Joyce at mjoyce@bgcdorchester.org. BGCD to Hold Annual Grand Drawing Gala November 3rd: Join us at the Fairmont Copley Plaza Hotel on Saturday, November 3rd for Puttin’ on the Glitz’ Grand Drawing Gala, benefiting BGCD. Each year our guests eagerly await our signature Grand Drawing, hoping to win one of our unique grand prizes that include vacations, exquisite jewelry, shopping sprees and more! The funds raised from this event allows BGCD to continue to provide 4000 members over 200 quality programs for only $5 a year! We want every child who walks through our doors to have access to life changing opportunities, caring staff and a safe place to learn and grow. To learn more about sponsorship opportunities please contact Patty Lamb at plamb@bgcdorchester.org or by visiting www.bgcdorchester.org/ grand-drawing-gala/. Martin Richard Challenger Sports Program Kicks Off Fall Season: BGCD had a blast partnering with the Martin Richard Foundation last weekend to kick off the Martin Richard Challenger Sports Program. The program allows young people with developmental and physical disabilities to enjoy the full benefits of sports participation in a safe athletic environment structured to their abilities. Fall is soccer season for those participating in the program. Each week they gather at McConnell Park in Dorchester where children between the ages of 5-12 play at 10 AM and teens play at 11 AM. Special thanks to all of our “buddies” who volunteered to work one on one with each child, ensuring everyone had a great time! 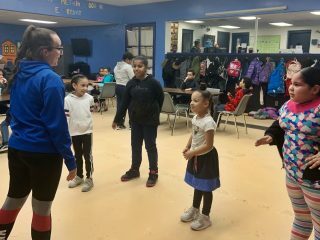 To learn more about this program or other inclusive opportunities at the Club, please contact Maddie Butler at mbutler@bgcdorchester.org. 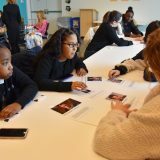 L.I.F.T is Seeking Families for Parenting Journey Program: The L.I.F.T program at BGCD is seeking families to help create a diverse group of mothers, fathers, grandparents and caregivers for a new group who will focus on increasing confidence, capability, and resiliency as individuals and as parents. Those involved will meet every Tuesday once a week for nine weeks. By reflecting on your own childhood, you will be able to choose what kind of parent you want to be, make positive changes, grow and create your own style of parenting – one that reflects your personal vision and values. The program features activities, engaging group participation, a family style meal and childcare. Space is limited and registration is required by October 18, 2018. Please contact Rosa Beriguete at (617) 288-7120 or at rberiguete@bgcdorchester.org to register. BGCD is Accepting Applications for Runners to Join our Team for the 2019 Boston Marathon: Charity runners and registered qualified runners are both welcome to apply, applications are open until spots are full. All BGCD charity runners will receive an official entry into the 2019 Boston Marathon. All who are accepted to the team will receive: Personalized fundraising support and guidance, team BGCD swag, official race singlet, invaluable team spirit and volunteer support, opportunities for team BGCD runners to stay connected with team members and Club initiatives post-race, invitation to team kickoff event and race weekend festivities, and personalized training plan with team BGCD official running coach, John Furey. Learn more or apply at bgcdorchester.org/boston-marathon/. 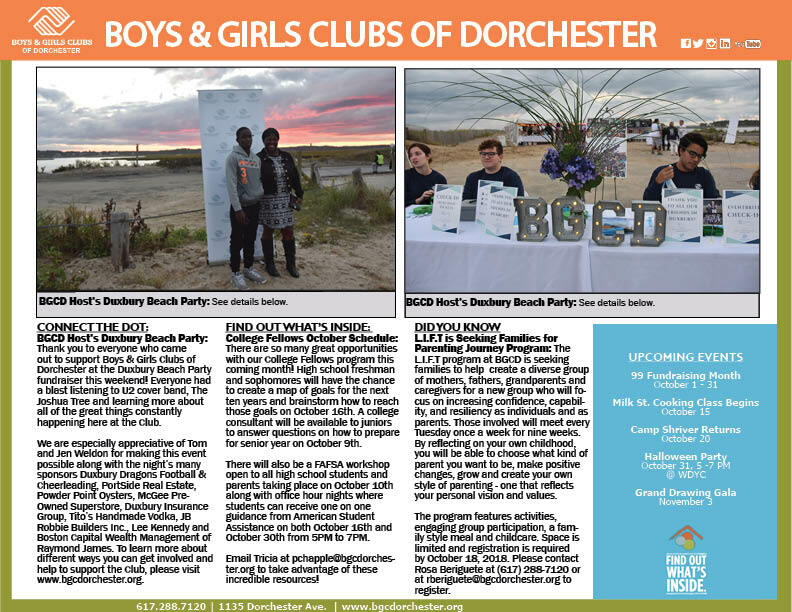 BGCD Host’s Duxbury Beach Party: Thank you to everyone who came out to support Boys & Girls Clubs of Dorchester at the Duxbury Beach Party fundraiser this weekend! Everyone had a blast listening to U2 cover band, The Joshua Tree and learning more about all of the great things constantly happening here at the Club. We are especially appreciative of Tom and Jen Weldon for making this event possible along with the night’s many sponsors Duxbury Dragons Football & Cheerleading, PortSide Real Estate, Powder Point Oysters, McGee PreOwned Superstore, Duxbury Insurance Group, Tito’s Handmade Vodka, JB Robbie Builders Inc., Lee Kennedy and Boston Capital Wealth Management of Raymond James. 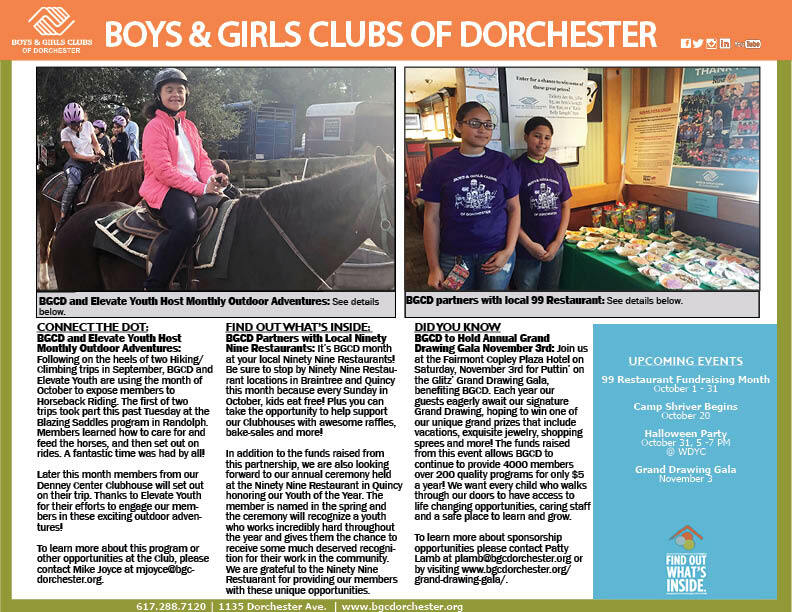 To learn more about different ways you can get involved and help to support the Club, please visit www.bgcdorchester.org. College Fellows October Schedule: There are so many great opportunities with our College Fellows program this coming month! 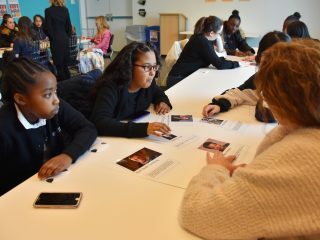 High school freshman and sophomores will have the chance to create a map of goals for the next ten years and brainstorm how to reach those goals on October 16th. A college consultant will be available to juniors to answer questions on how to prepare for senior year on October 9th. There will also be a FAFSA workshop open to all high school students and parents taking place on October 10th along with office hour nights where students can receive one on one guidance from American Student Assistance on both October 16th and October 30th from 5PM to 7PM. Email Tricia at pchapple@bgcdorchester.org to take advantage of these incredible resources!